Chaos displays its nature in many different ways. First, an aside: There will be a much more involved readme included with the source code. Welcome to the Chaos Mansion. There's not much to say other than "go explore". Multiple secrets scattered about and you would do well to pay attention. Map issues: Bots will not work in this map. They won't leave the area where they spawn (explanation in the source readme). This map and experience are to be considered as a concept map and as such you are likely to find serious problems with running other mods with this map. Last edited by papercoffee on Thu Oct 12, 2017 1:50 pm, edited 1 time in total. Castle themed i like it so far! No, really. It's done. Isn't it incredible? Can't go wrong with a castle. The logo for the contest, is it sort of hanging on the corner of a room and not a flat surface... or am I seeing that wrong? The contest logo is in a spinning coin like frame with an animated blinking border. No blue light from the blue windows ? - sky blue lightly tinted. It would make it look better in-that the other lights can showoff it's own color more, creating more atmosphere. I was playing around with the zone light on an outside map. They say having yellow sun and blue-ish shadows are the way to go. So I placed only the yellow-ish the regular lights and the zonelight is the shadow color. 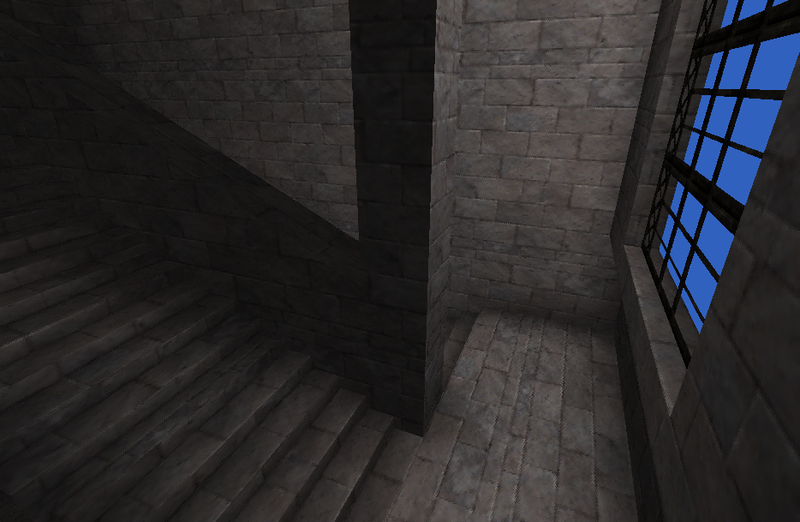 I suppose you could still use yellow by the windows and blue shadows for an inside map, just for experimenting. Problem is it takes away black. Looks clean and good, easy to spot enemies too. Haha I know the "blue sky" is misleading but this is just a placeholder ...I use always the blue sky texture from Egypt.utx for that purpose. 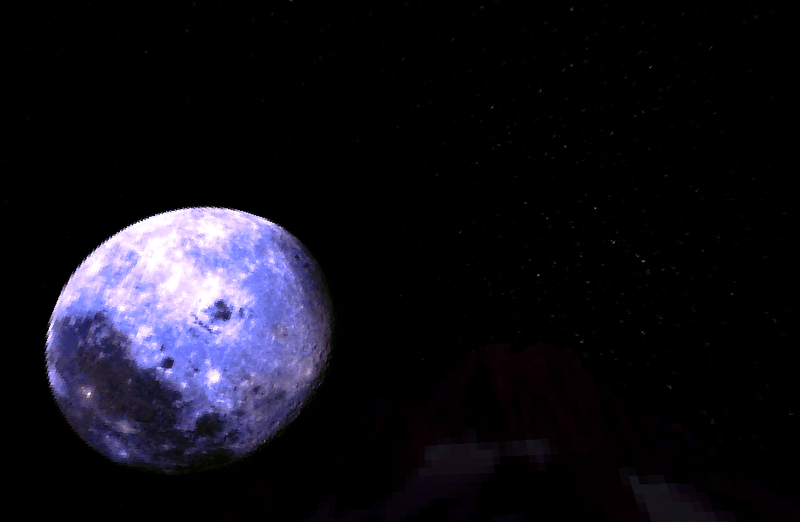 That way I can easily select all blue surfaces to make them to fake backdrops. 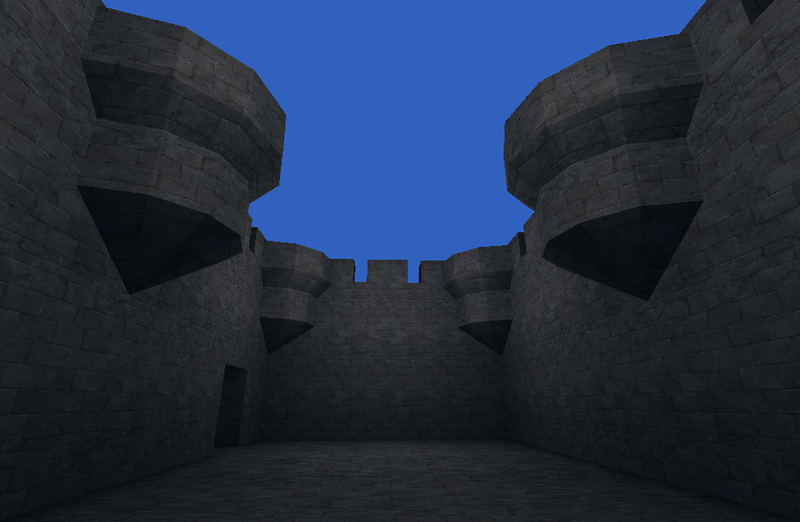 They skybox is later a more darker and moodier one. But the sky-zone isn't finished. 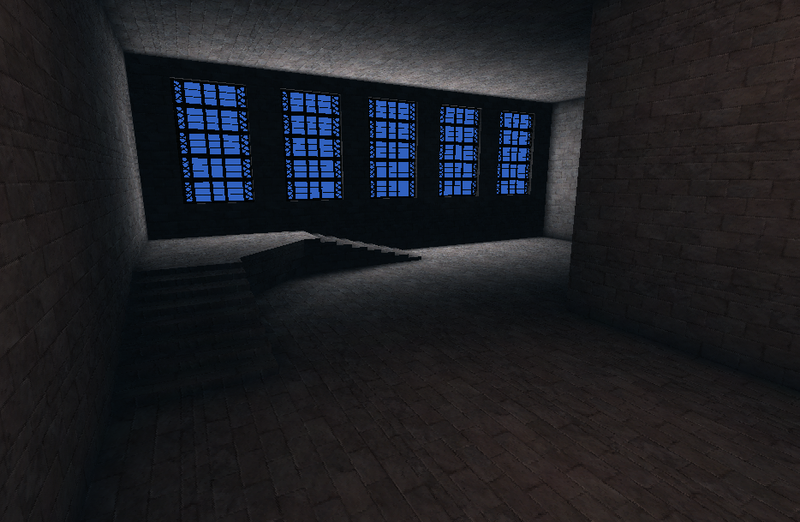 I used zone-light already to make the shadows dark blue. There aren't any movers. In fact the map you see is the real map and it's done aside from pathnoding. There's a couple dozen lights,148 BSP brushes (including skybox and zone portals), a few playerstarts and zoneinfo. JackGriffin wrote: And it's utterly chaotic. People with compulsive orderliness will find this map utterly chaotic. Skybox is ready. I like how the stars came out. IT's looking really good. I like your vertical placement on your maps. You seem to do that well. I actually really enjoy that type of movement so I'm trying to learn to do it a lot better. Looking forward to this. I remember you saying you had a surrealist idea and Chaos may suit it. 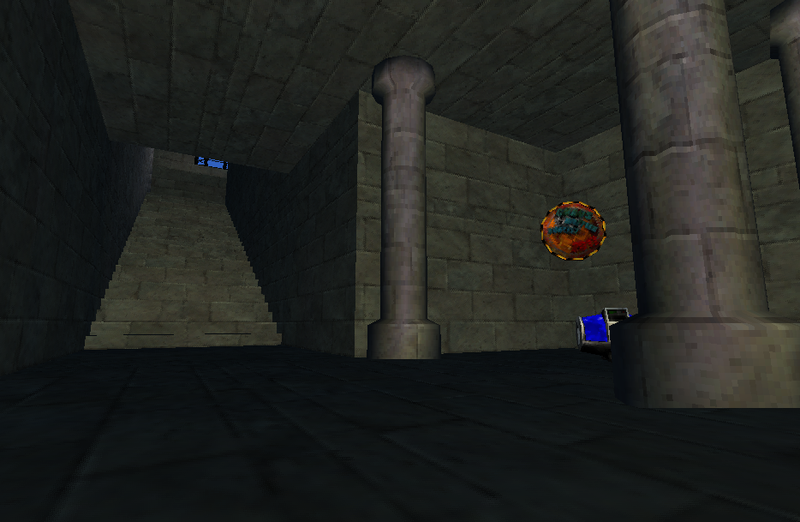 Surrealism in a ChaosUT map is likely to score more Chaos points for adding extra chaos. Hellish prisons and prisons of the mind can take on any form. Dr.Flay wrote: prisons of the mind can take on any form. Oh ... you nearly nailed it. 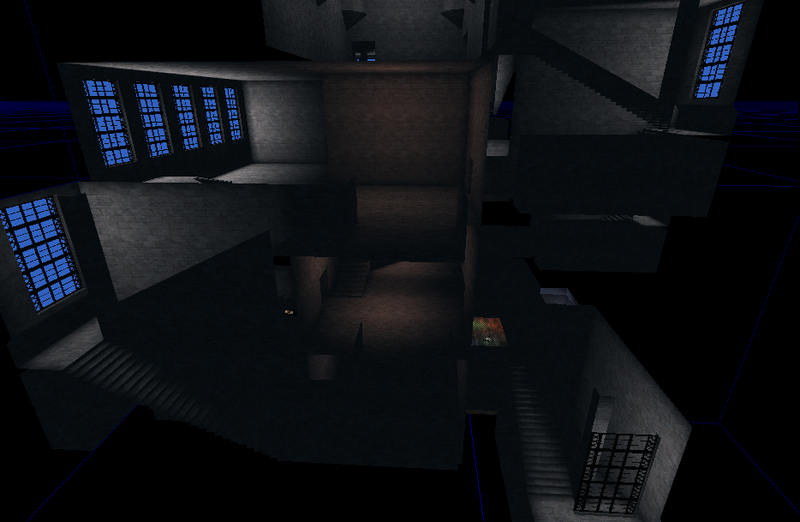 I assure you, you won't trust your mind when playing this map.